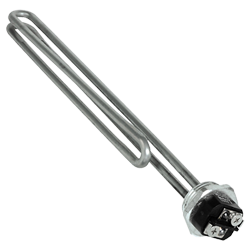 This stainless steel heating element is recommended for large electric brew kettles (25 - 55 gallons), up to one bbl net batch. Element is unwired with no cord for those who want to do it themselves. 208V - Do not use with 240V line voltage. 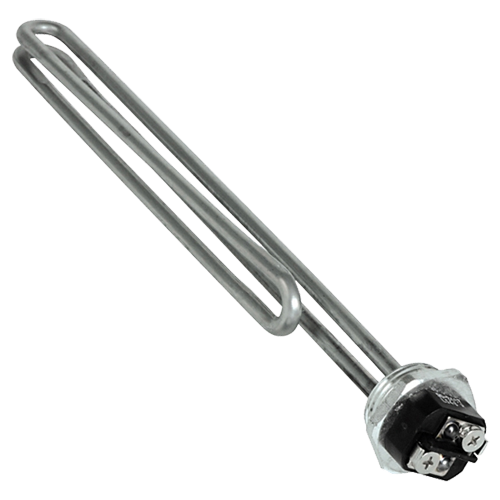 To install with our Weldless Heating element kit, drill a 1.25 in hole in the vessel. Base of element is stainless steel. Will not show rust.